This is Oru’s 12ft Beach LT. 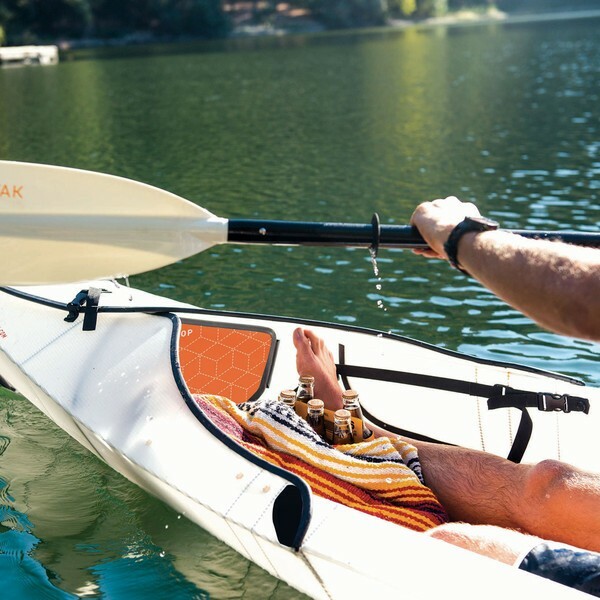 This is the Oru for you, if your approach to kayaking is more leisurely… it has a larger, more open cockpit – so it’s easier to get into – and just over 10% more beam (width) – so it’s more stable. The compromise (there is always a compromise in boat design!) 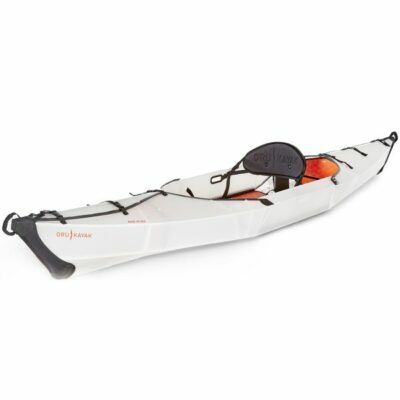 is that it’s not quite as quick to paddle as the Bay or Coast models, and you can’t fit a spray deck to enclose the cockpit. 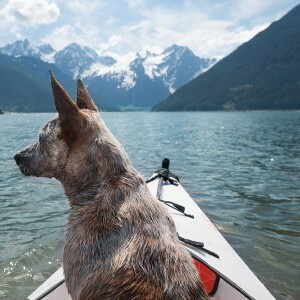 So it’s not the one to take long distance on the ocean. But it’s even quicker to assemble (5 mins is entirely realistic with practice) than other Oru kayaks, and retains the high quality construction, durability, and portability, for which the Oru brand has become famous. Another advantage of the Beach LT’s open cockpit is that it has more storage space for items such as food, drink, spare clothes, or even camping gear (140 litres compared to 90 litres in the Bay ST series). Or, provided you keep within the weight limit of 135kg (300-lb), enough room to take a child (or even dog) kayaking with you. 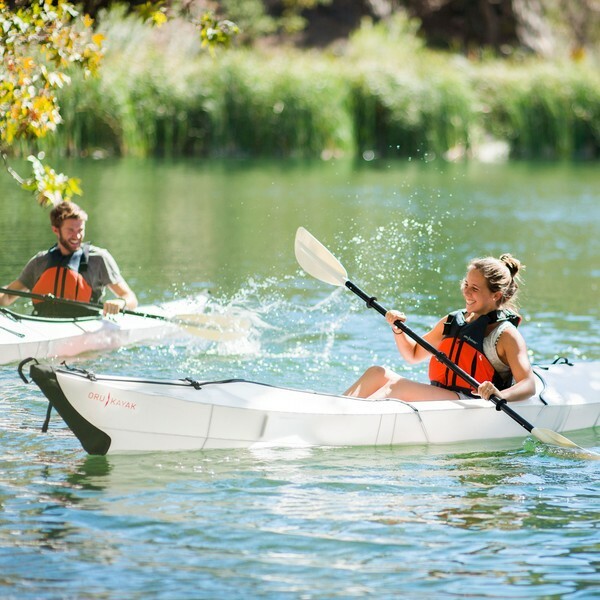 All Oru kayaks include adjustable footrests and backrests to get your seat just right. 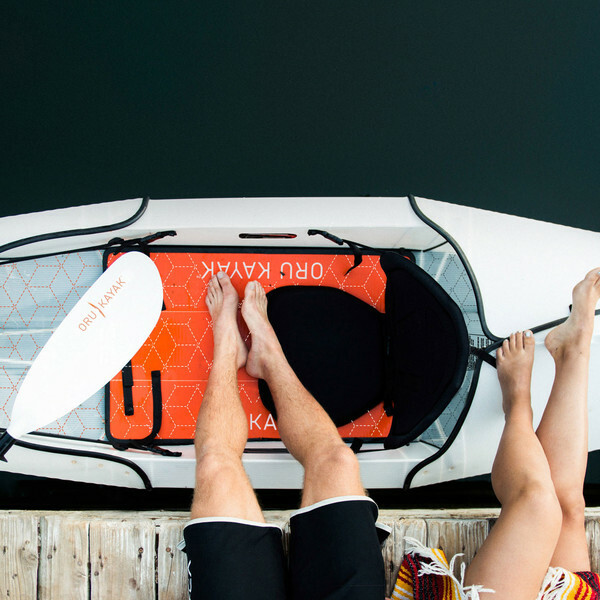 The Oru Beach LT is an excellent choice for messing about on rivers, lakes or harbours, and of course to enhance your day at the… BEACH. 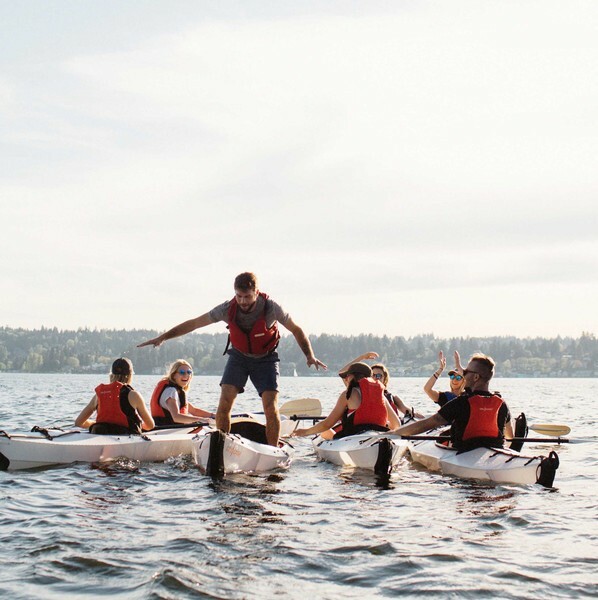 And don’t get us wrong, whilst slower than the Bay and Coast, it is still noticeably faster and more enjoyable to paddle than almost all inflatables. 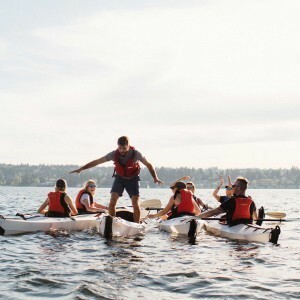 This tough little boat really scoots along with very little effort, and somehow magically combines great straight line tracking with easy manoeuvrability. 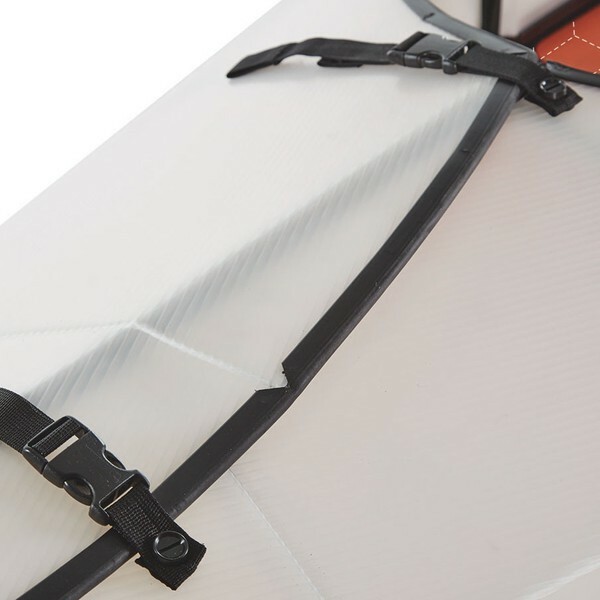 With its compact folded dimensions and weighing in at just under 12kg, the Beach is also very easy to carry (includes carrying handles), even to launch points that others simply can’t reach (easier still with the optional backpack). 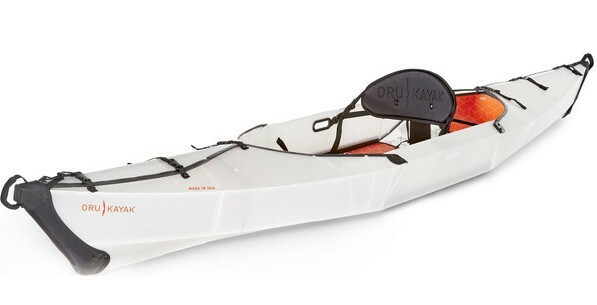 This light weight is a result of the double-skin plastic, which is stiff enough to eliminate the need for a separate internal frame (unlike most folding kayaks, the Oru is a monocoque). Furthermore, the air trapped between the two skins gives a massive amount of integral buoyancy, so even if fully swamped an Oru Beach still floats very high in the water. For an overview and comparison of all Oru kayaks see Oru Origami Kayaks. TRANSPORT & STORAGE PROBLEMS SOLVED. Two kayaks in a 4-door hatchback, with all four seats still available and a boot that closes? 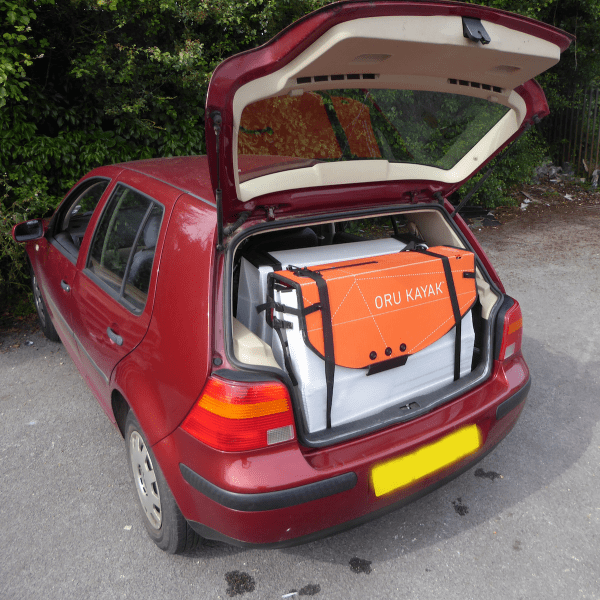 Take a look at the pictures of this VW Golf, showing how one Oru fits neatly into the boot, with the parcel shelf still in place and room to spare. 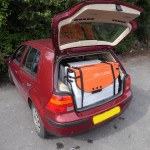 Also, with the parcel shelf removed and two together fitting comfortably (and the boot closed effortlessly!). 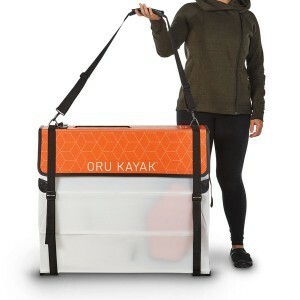 * NB, not the “official” Oru paddle (which is £99), but we think it’s very good at the price, with nice solid joints – and crucially (just like the Oru one) it fits inside the folded kayak package. Delivery, to most UK mainland addresses £12. Most mainland Europe addresses (France, Germany etc) £55. All accessories listed above fit in the main Oru box so, if ordered at the same time, incur no extra charge. 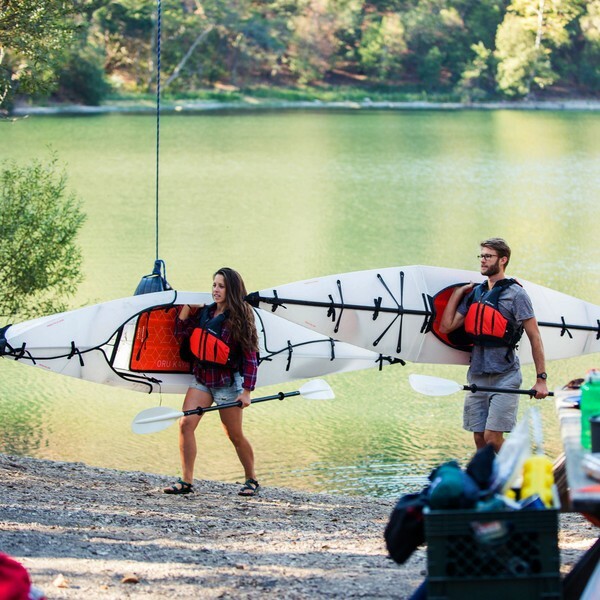 For more information about seeing, demoing and buying the Oru Beach LT. Send a message online now via the Contact page.